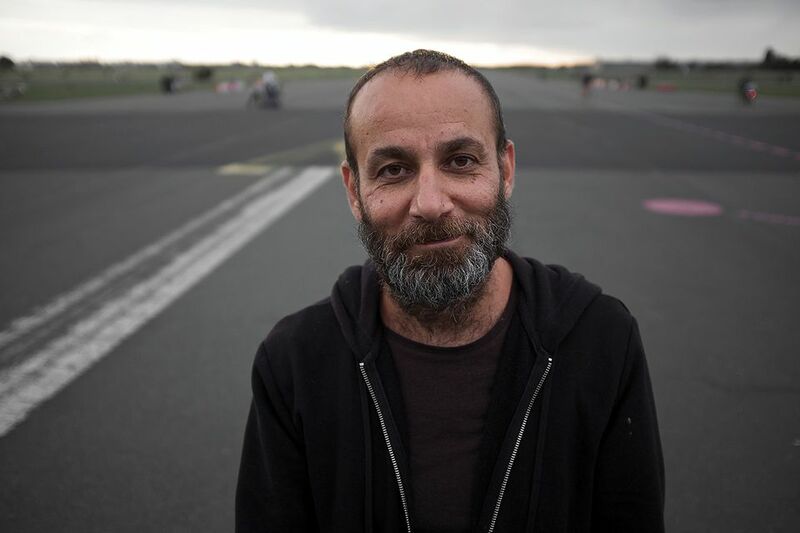 The Iraqi-Kurdish conceptual artist Hiwa K fled Iraq in 1996 on foot when he was 25 years old, travelling via Iran to Turkey and Greece before settling in Germany. Now based in Berlin, the experience of immigration as well as the history of colonisation and contemporary politics have become overarching themes of his work, which spans performance, videos, installations and sculptures. In the mid-2000s, Hiwa studied at the Mainz Academy of Arts, where he was accepted based on the submission of a friend’s painting portfolio, and began performative projects, rejecting what he calls “symbolic art”. Around the same time, Hiwa practiced flamenco guitar under the Spanish composer Paco Peña, and the syncretism of such music continues to be an inspiration. In 2014, the artist was included in Here and Elsewhere, a show of contemporary Arab art at the New Museum, New York, where he presented the video This Lemon Tastes of Apple (2011). 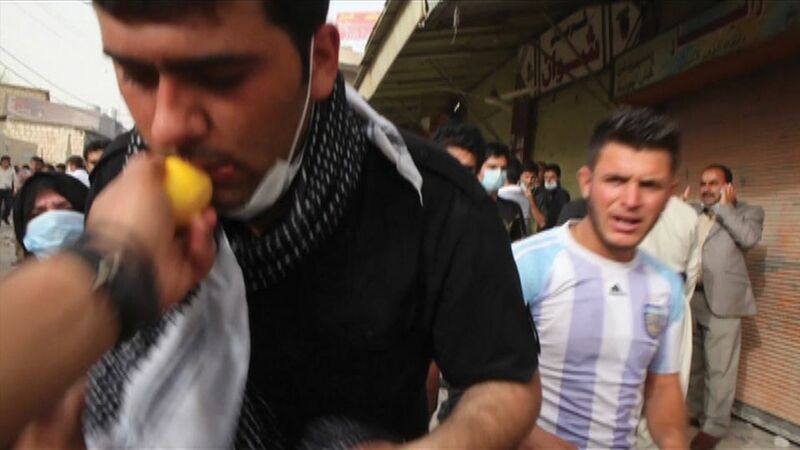 The work documents a demonstration in Iraq during the Arab Spring that was not widely covered by international media, and references the gas used as a genocide attempt against Kurdish and Halabja settlements in 1998 that locals said carried the scent of apple. In the video, the artist plays the harmonica to the theme song of the 1968 film Once Upon a Time in the West as he and a partner playing guitar walk with throngs of protesters towards the militia. The following year, the artist was included in the Nigerian curator Okwui Enwezor’s exhibition for the 56th Venice Biennale, All the World’s Futures, creating the installation The Bell (2007-15). The work was the culmination of his long-term collaboration with an Iraqi man named Nazhad who melted the metal scraps of tanks, infrastructure and weapons left over from the Gulf and Iran-Iraq wars. These key pieces, as well as some new and other past works, are included in Hiwa K’s current solo exhibition at the New Museum. We spoke to the artist ahead of the show. 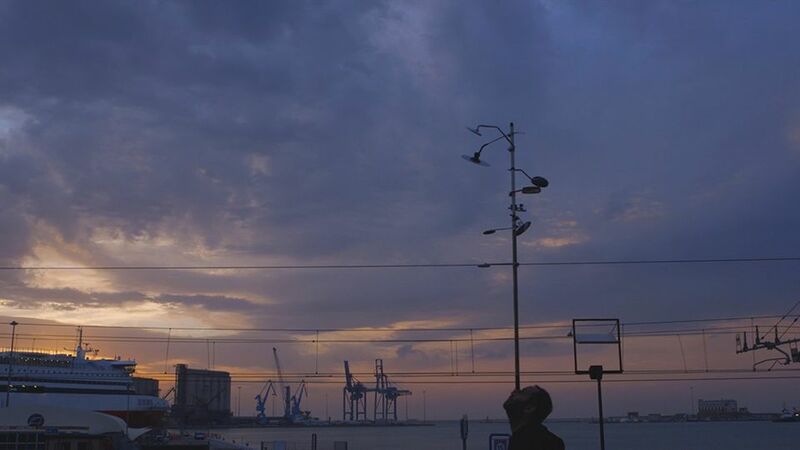 The Art Newspaper: Your show is titled after the semi-autobiographical video you first exhibited at Documenta 14 in Athens last year, which deals with identity and migration. Hiwa K: Yes, this work is about tracing the roots that a migrant—the character K, whom I speak through—took more than 20 years ago and his journey through every village and city from Evros, Greece to Rome, Italy. I’m talking about darkness and blindness. In the video, you see that there’s a moment where K is stuck in a trunk in a ship and doesn’t know where he’s going. Because he doesn’t have a watch, he doesn’t know how long he will be stuck there. The only clock is his stomach. Because of the darkness, his language switches from English to Kurdish, his mother tongue. You have created a new sculpture for the show. What is the context of that work and is there a performative aspect? The sculpture is a forged steel morion [helmet] that deals with the story of the Spanish conquest of the Incas in the 1500s, inspired partly by the chronicle of Felipe Guaman Poma de Ayala. It will be around 90cm in diameter. When the Incas saw the Spaniards with these helmets on their heads, they thought they were cooking pots. They also confused the Spaniards with llamas, since they had never seen bearded men, whereas, in legend, the Spaniards claim that the Incas thought they were gods. That’s a common idea in all societies—the outsiders or colonisers always see themselves as gods, bringing the people [new ideas] that they don’t already have. The sculpture will be hung upside down from a tripod, and I’m thinking of cooking a Middle Eastern food called pacha that’s made from a sheep’s head. The work ultimately references two things: the European white male taking away lands from indigenous people and their own fear of being invaded by immigrants. It’s important to mention that Columbus wasn’t a progressive man. He was mostly dependent on Medieval texts, mysticism and the Christianisation of the world. According to some documents, an Inca ambassador, after spying on the Spaniards for three days, eventually found out that they were eating, sleeping and getting sick just like human beings. You are also producing a series of new drawings. The drawings are the outcome of my thoughts and research around this project. They’re about playing around with ideas, and I made some sketches during my visit to the house of the Spanish conqueror Francisco Pizarro González in Trujila, Spain, filled with legends and gossip by the locals. You have said in the past that you consider yourself a musician before an artist. How does music—specifically the flamenco guitar—inform your work? My work has to do with the layers of history. When the Muslims conquered Spain, they took a lot of Kurdish music with them. Flamenco guitar is the outcome of various different cultures that Spanish culture painted over with one layer, concealing them. For me, flamenco is also my music that’s been re-rooted. By refusing to learn Spanish, I address those hidden layers when I play flamenco guitar. My work takes a lot of time to research, and there’s typically just one work per year. I’m doing around six solo shows this year, so I’m trying not to do any new works unless there’s a context for it. The art world always wants you to make new works, but I don’t think it’s necessary in this age of overproduction. We need to learn to slow down. As soon as they try to make a star out of you, you have to stay a moon—or even just a half moon. What do you hope that visitors take away from the show? What I want people to reflect on is the state of the world, and that, when politicians in the US want to prevent people from going there and deport people, they themselves should “go home”. White Americans are immigrants; they should be the first to be sent back, if it comes to that. I hope the show will remind people of how the Western Medieval mentality destroyed many countries, and how many millions were killed because of it. This planet is a hijacked space shuttle and its inhabitants are asleep, sadly.